We're not just about roads and bridges. Through our Intermodal Planning section, we oversee a number of initiatives to support and expand Rhode Island's passenger rail, freight rail, and ferry services. Through our Transportation Alternatives Program, we fund a number of programs and projects aimed at making it easier and safer to walk and bike in our communities. We also work hand-in-hand with RIPTA, Rhode Island's statewide transit provider. 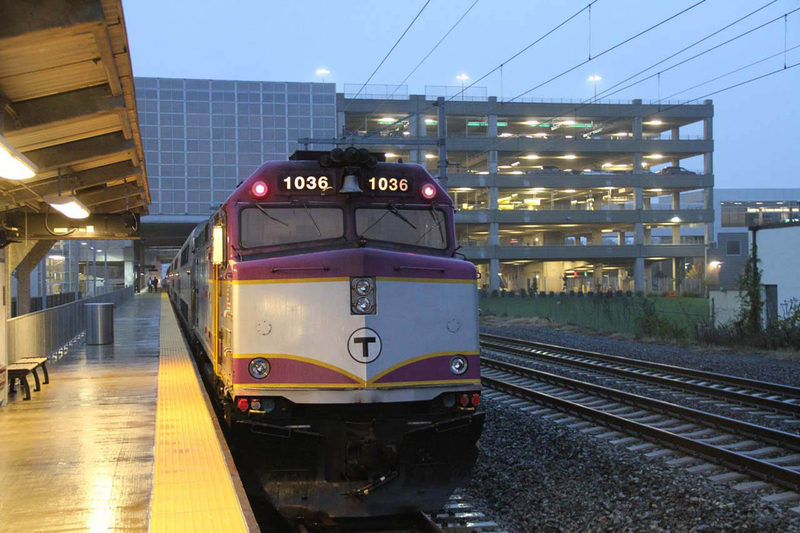 Bringing Commuter Rail to R.I.
We've enjoyed a long partnership with the Massachusetts Bay Transportation Authority (MBTA) to develop an in-state commuter rail service with 80 stops per week, connecting Providence, South County and T.F. Green State Airport. Along with providing Rhode Islanders an alternative to the busy Route 4 or I-95 corridors, the service provides many opportunities for employment and economic development with continuing service to Boston. Offers commuter rail service between Providence, T.F. Green and Wickford Junction Station with connecting service to Boston with a total of 37 weekday and 19 weekend stops. This station also serves Amtrak. Offers 20 weekday stops between Providence and Wickford Junction stations, with connecting service to Boston. Station is directly connected to T.F. Green Airport, with bus, taxi and rental car services on site. Offers 20 weekday stops between Providence and T.F Green stations, with connecting service to Boston. Early 1980s: RIDOT contributes $10 million towards construction of a new Providence Station in anticipation of a future commuter rail link to Boston. 1988: RIDOT and MBTA sign the Pilgrim Partnership, an agreement outlining responsibilities for service and infrastructre improvements. February 1988: Commuter rail service to Providence Station begins with five weekday round trips to Boston. Ridership averages 200 riders per day. Early 1990s: Design work begins on the Freight Rail Improvement Project. While aimed at linking the Quonset Business Park in the North Kingstown to the national freight rail system, it allows extra capacity for commuter rail service. Early-Mid 1990s: RIDOT undertakes site assessment for new commuter rail stations south of Providence. 1998: Design begins for the Warwick Intermodal Station (now known as the InterLink). Acting as an intermodal hub, it provides seamless connections for trains, buses and rental cars and links to T.F. Green Airport via an elegant skywalk. 2001-2003: RIDOT develops the South County Commuter Rail Operations Plan and Environmental Assessment south of Providence to Wickford Junction. 2001-2006: RIDOT builds the Freight Rail Improvement Project through nine individual construction contracts. 2006: RIDOT and MBTA complete construction of the $18 million Pawtucket Layover Facility, where Providence trains are stored overnight. August 2008: RIDOT and Amtrak sign the Northeast Corridor Access Agreement, giving RIDOT commuter operating rights south of Providence. August, 2010: RIDOT breaks ground for construction of the Wickford Junction Commuter Rail station. September, 2010: RIDOT and MBTA sign an operations agreement, allowing MBTA to commence commuter rail service between Warwick and Providence. October, 2010: The InterLink opens. December, 2010: Commuter rail service to the InterLink begins with 11 stops each weekday. November, 2011: Service to the InterLink nearly doubles to 20 weekday stops. The expanded service includes midday trips at times that better match up with flight departure and arrival times. April, 2012: Commuter rail service to Wickford Junction Station begins with 20 weekday stops to and from T.F. Green and Providence Station. Our robust Transportation Alternatives Program funds a variety of projects and programs you might not necessarily associate with RIDOT. 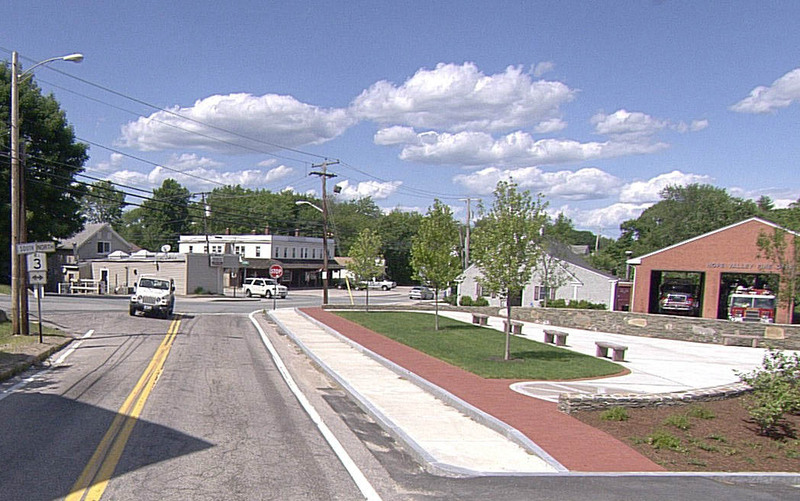 These often include improvements supporting walkers and bicyclists including walking routes, bike lanes and streetscape projects aimed at supporting safe and efficient transportation while improving the beauty and vitality of a road, square or village center. 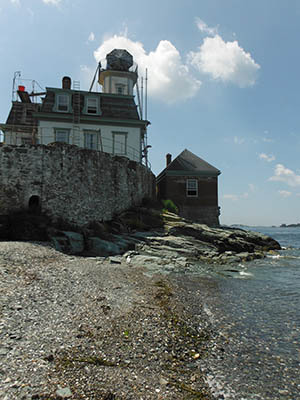 Other efforts in our Transportation Alternatives Program include lighting improvements, establishing turnouts and overlooks, signal improvements, converting abandoned railroad corridors and historic preservation of transportation features such as old train stations and lighthouses. 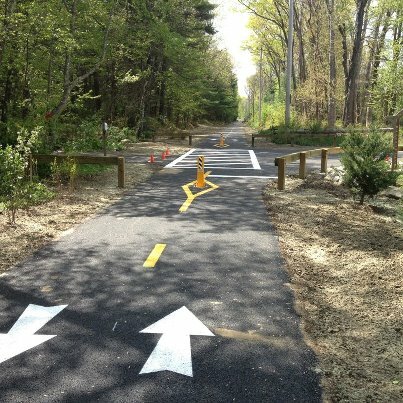 Using Federal Highway Administration funds, we manage the Recreational Trails Program jointly with the R.I. Department of Environmental Management. The goal of this program is to encourage community groups and non-profit organizations to propose projects to maintain or expand on existing trails, or to create new public trails. While separate agencies, we work hand-in-hand with RIPTA on many transit initiatives with a "complete streets" approach that incorporates bus facilities and amenities within our road projects where possible. We fund RIPTA's primary marketing program for promoting all forms of alternative transportation, including commuter rail and transit use, carpooling, biking and walking. The program offers reduced-cost transit, allowing you to save money while reducing traffic congestion and improving air quality. RIDOT builds most of Rhode Island's Park & Ride lots that make bus riding and car pooling more convenient.